white keyboard, same tick-tock sound from the beginning. customize your keyboard color with lot more varieties without jailbreaking your iDevices.You can change the keyboard color with variety of themes which looks beautiful than the default keyboard color. is the first time that this app is available on the Appstore. 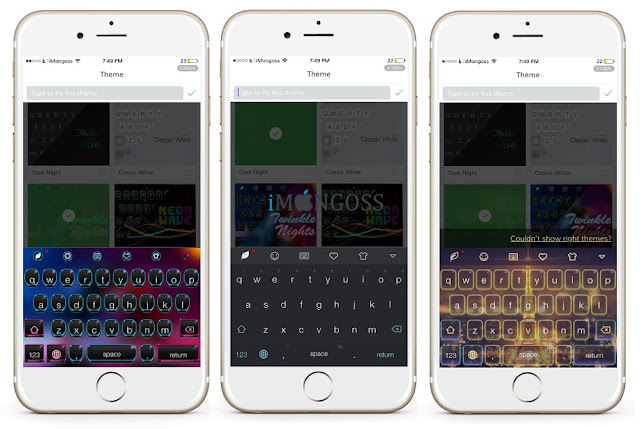 you to personalize the looks of the keyboard the way you want and lets you the change the keyboard color of your iPhone/iPad on iOS 10.3.2/10.3.1/10/9 or below. you can also get many fancy stickers and cool keyboard clicks. Stickers: Peanuts, Shrek, Snowman etc. Keyboard: Personalize backgrounds, fonts and key tones. Themes: Lovely, Cool, Factional, Geek, you will find every keyboard you want. 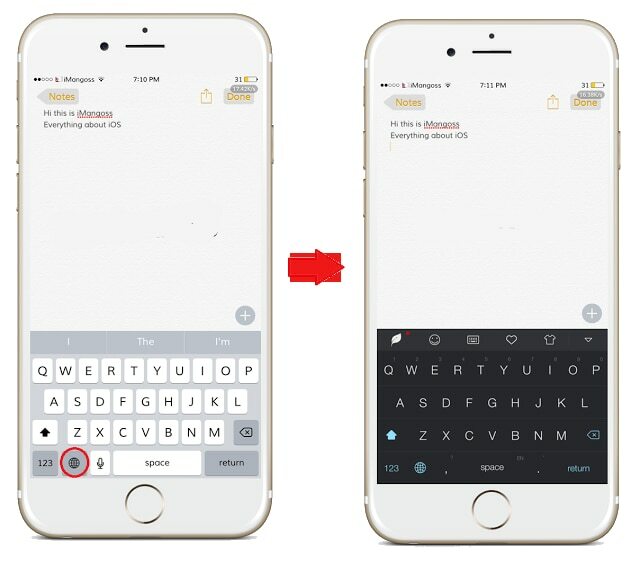 & Smart: Support swipe typing, Auto correction, and next word prediction. with iPhone, iPad & iPod Touch running iOS 8, 9, 10 or later. Toggle ON to full access. Like wise you can change the color of your keyboard with Themeboard, Gboard which is available for free in the AppStore.